The thing about Kanye West is, you never know if his escapades are one big life’s mission to inflate his already gargantuan ego, or if he’s just having a laugh with us all. He even admits as much himself – he’s previously admitted that he ‘could be completely f*****g with you, and the world, the entire time’. The thing about the humblebrag is that it’s a brag, disguised as a self-deprecating moan. Kanye has no time for such modesty. This is the man who thinks people’s reluctance to compare themselves to Picasso is holding back humanity – if you find social media annoying now, you definitely won’t want to be part of it when Kanye’s in charge. 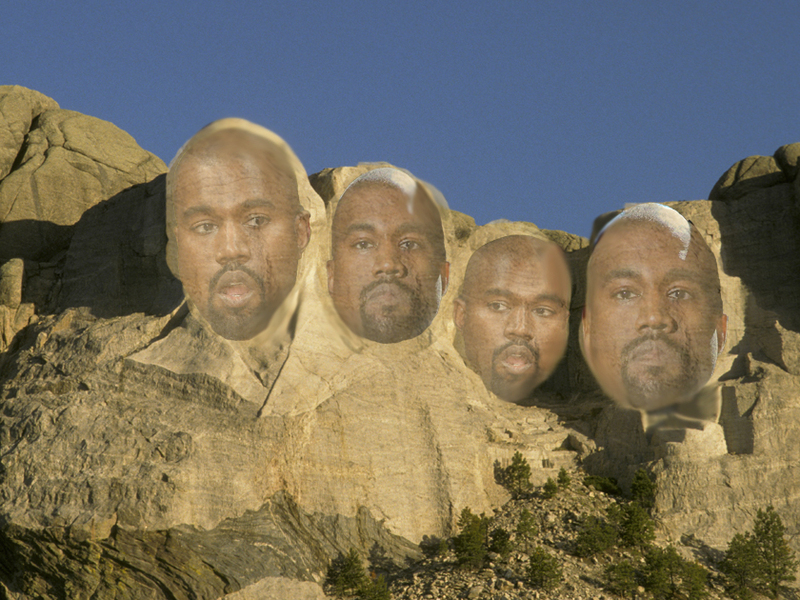 You know who’s probably looked at Mount Rushmore and thought, ‘what that needs, is a bit more Kanye’? Kanye. 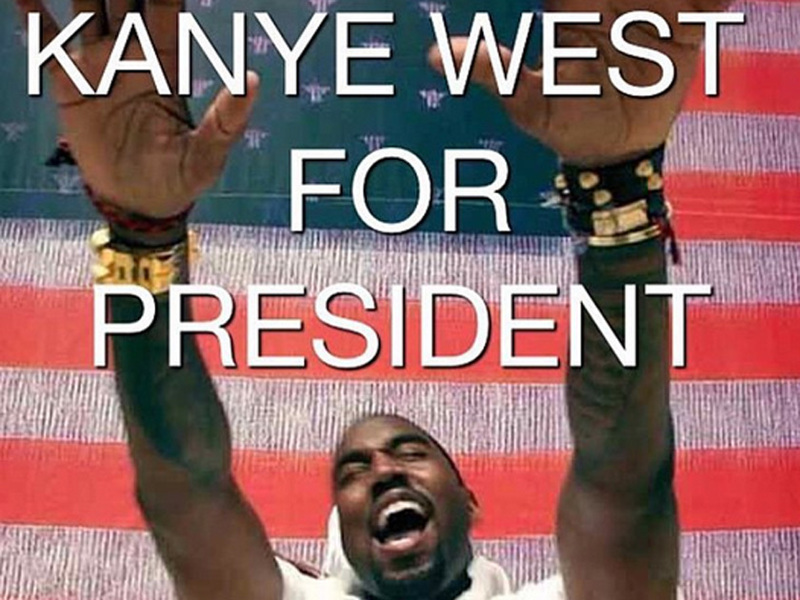 Who needs George Washington, Thomas Jefferson, Theodore Roosevelt and Abraham Lincoln staring down from the mountainside when you could have Kanye, the greatest living rock star on earth? Kanye has previously spoken candidly about one of his biggest hardships – the fact he’ll never be able to watch himself play live. Obviously, the answer to this is a Kanye clone, who can stand dutifully in the audience while the real Kanye does his stuff. Hell, why even stop at two Kanyes? 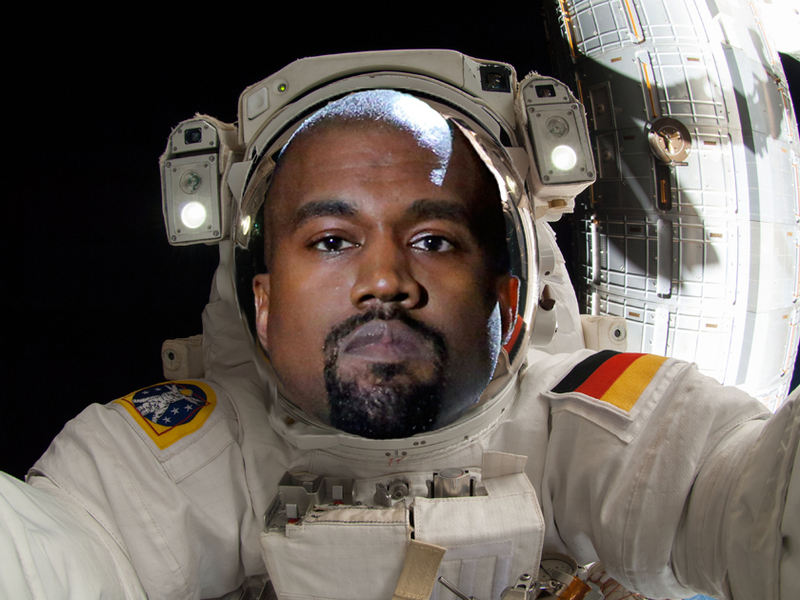 If anyone’s going to be the first rapper in space, it’ll be Kanye. If he was leader of the United States, he’d also be the first President in space. And Kanye doesn’t seem like a guy who wouldn’t want to set two world records at once. 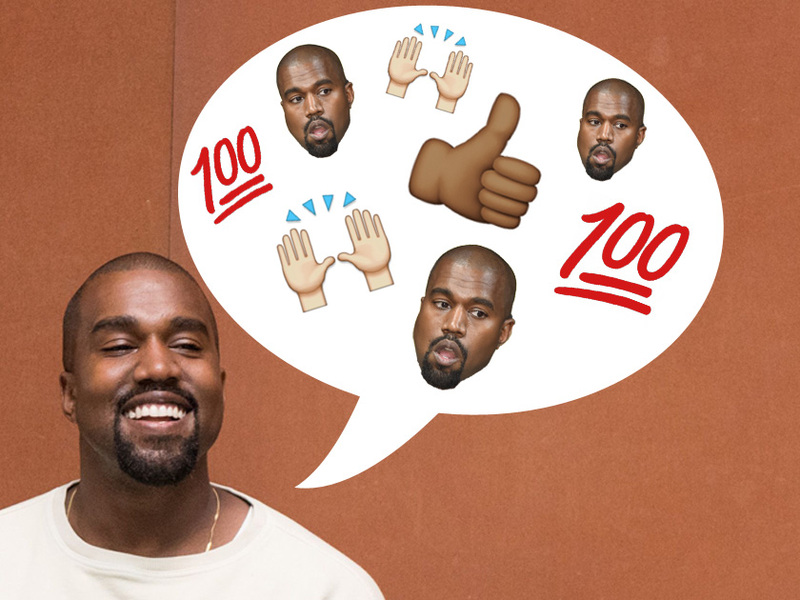 According to Kanye, bad taste is vulgar, and good design will save the world. So why waste time negotiating with world leaders when he could send them a nice new pair of Lanvin joggers instead? Oh, come on. It would still be better than Donald Trump.